All of our Arrangements can be customized in Color, Size or Flowers used. Just ask us! Centerpiece: Real Touch Callas, Roses, Orchids Mix - Silk Flower Arrangement - YOUR Colors! Centerpiece: Silk & Natural Touch Orchids, Roses, Hydrangeas and Callas - YOUR Colors! Centerpiece: Natural Touch Orchids- YOUR Colors! Centerpiece: Natural Touch Roses, Callas & Orchids- YOUR Colors! Centerpiece: Natural Touch Roses, Peonies & Orchids- YOUR Colors! Centerpiece: Specialty Peonies - YOUR Colors! Centerpiece: Natural Touch Lilies and Peonies - YOUR Colors! Centerpiece: Natural Touch Stargazer Lilies - YOUR Colors! Centerpiece: Natural Touch Roses - YOUR Colors! Centerpiece: Natural Touch Roses & Callas - YOUR Colors! Centerpiece: Hydrangeas & Peonies - YOUR Colors! Centerpiece: Roses - YOUR Colors! 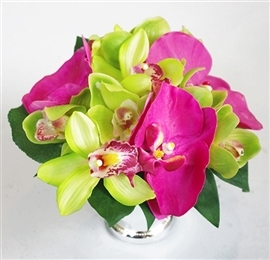 Centerpiece: Callas & Natural Touch Orchids- YOUR Colors! Centerpiece: Specialty & Natural Touch Callas Lilies - YOUR Colors! Centerpiece: Off White Callas & Hydrangeas - YOUR Colors! Centerpiece: Roses & Peonies - YOUR Colors! Centerpiece: Gerbera Daisies - YOUR Colors! Centerpiece: Roses & Hydrangeas - YOUR Colors! Centerpiece: Roses in YOUR Colors! Centerpiece: Hydrangeas Bundle - YOUR Colors!